Here’s an unpopular opinion: The original Game Boy hasn’t aged well. Sure, there are a few games from the original Game Boy that hold up decently (namely Game Boy Color exclusives), but for the most part, its games represent a time when the convenience of gaming on the go came at the expense of quality. The Game Boy Advance, however, marked a time when handheld games began to capture a more timeless quality. The GBA was the SNES to the Game Boy’s NES, with its predecessor feeling archaic (save for a handful of titles) while it itself holds up so well, it doesn’t feel like a retro console at all. Case in point: Wario Land. Wario Lands 2 and 3 on the original Game Boy were once hailed as some of the best handheld games of all time, and while they’re still decent to play, they’re getting on a bit. 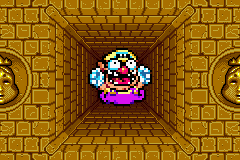 Wario Land 4, on Game Boy Advance, however, is still a worthwhile platformer today. Perhaps not an all-time great, but it’s certainly not disappointing to revisit. 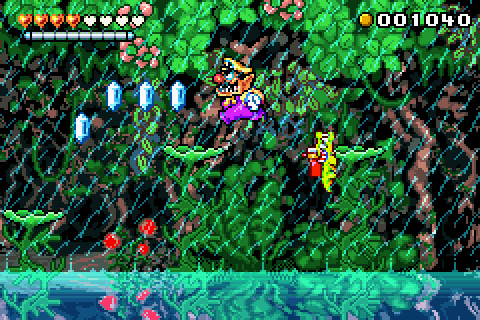 Like its predecessors, Wario Land 4 is all about the greedy anti-Mario’s quest for treasure. This time, Wario is pillaging an ancient pyramid in the middle of a jungle, but gets trapped inside and has to find a way to escape, all while collecting as much treasure as possible, of course. Wario retains his brutish strength from the past games, with his charging attack, ground pound and ability to pick up and throw enemies intact. Additionally, by holding the R button, Wario can run at such a great speed, that with enough momentum, his hard noggin can break through blocks that even his charge attack can’t budge. Similarly, if he ground pounds from a great enough height, he can also destroy these stronger blocks (there’s even one puzzle in the game that cleverly combines this with a teleporter, meaning that Wario was thinking with portals even before Portal). The structure of the game takes a different approach from its predecessors, however. There’s a quick tutorial that shows you the ropes of the game (it’s actually one of the better tutorial levels I’ve seen, effectively condensing all the game’s elements to their bare basics, thus giving you insight to the entire adventure ahead). After that, the game features four worlds, which you can play in any order you see fit (and if you get stuck in one world, you can leave it and do another for the time being). The worlds themselves follow a more linear structure, however, with each featuring four stages and a boss fight at the end. Stages work a bit differently here than they did in past Wario games (and most platformers in general, for that matter): Wario searches through the levels collecting treasures, but instead of a traditional goal found at the end of a stage, each level features a statue of a blue frog (why not?) that, when jumped on, activates a timer. With the time ticking down, Wario has to make his way back to the beginning of the stage, where a portal now waits to take Wario back to the hub. Naturally, Wario gets to keep every treasure he collects if he makes it back before time runs out. While most of the jewels and coins scattered about add to Wario’s score, each level also contains three unique treasures: One is a bird with a key for a beak (again, why not?) which is needed to unlock the next level in that given world. Another treasure is a tablet separated in four pieces found in golden treasure chests, with all four pieces in all four stages needing to be found in order to open the boss door. Finally, a well-hidden music CD can be found and subsequently played in the sound room of the pyramid’s overworld. While these items add some extra depth to the stages, it’s kind of a shame that – aside from the CDs – they’re required to complete the game. 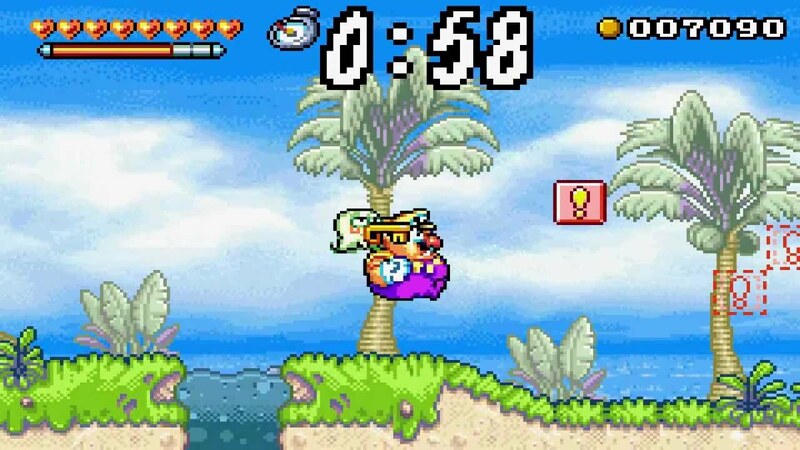 Had there been more non-story items, Wario Land 4 would have a fun staying power for completionists, instead of most return visits to levels being out of necessity for having missed a key or one of the four tablet pieces the first time around. The levels themselves are well designed and creative. It’s fun to search through them for treasures, and they never feel so labyrinthian as to be confusing. The stages are also less bland than in the past few Wario Lands, with fun gimmicks added into the mix. One of my favorite stages is built around knocking over stacks of dominoes, then racing to the end of a room before the final domino falls and hits a switch that closes off a treasure. Level design is always a make or break factor for platformers, and the clever structure and gimmicks of the stages of Wario Land 4 ascend it above its predecessors. There are, however, two notable elements that prevent Wario Land 4 from reaching its full potential. 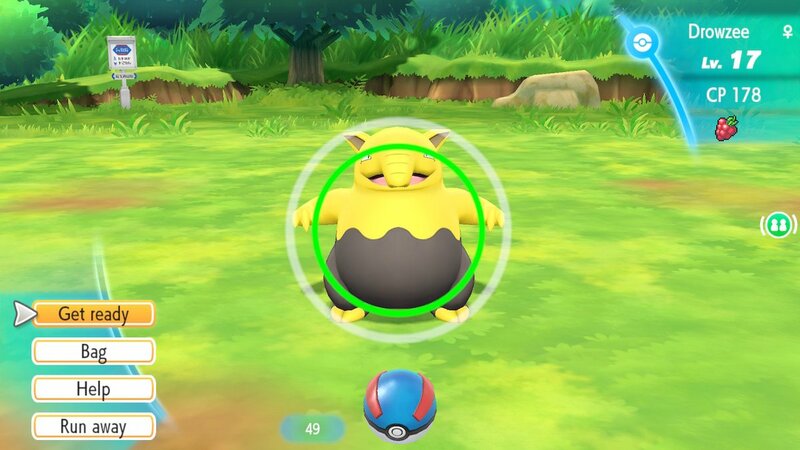 The first such issue is that, while Wario retains his ability to gain special powers after being struck by certain enemy attacks (swelling up and floating like a balloon when stung by a bee, sliding across surfaces when frozen by an enemy, etc. ), Wario is no longer invincible as he was in Wario Lands 2 and 3. In the past games Wario would gain such abilities from almost every foe (with the exceptions merely robbing Wario of coins), here you rarely know when an enemy attack will give Wario a power, and when it will just take health away. It unfortunately gives the game a gambling element that wasn’t present in the past. The other issue is the process of fighting the bosses of each world. Not only do you have to find all of the aforementioned tablet pieces in each level just to face them, but every boss also features a time limit. If you take too long to defeat a boss, you’ll miss out on the opportunities to claim all of their treasure chests. That’s not so bad on its own, as before every boss fight, Wario has the opportunity to purchase special items (from what looks like Mr. Game & Watch), which are then used to damage the upcoming boss before the fight begins. Some items will do marginal damage, while others will nearly take out the boss on their own. That may sound like a cheat, but considering this is a Wario game, it’s actually a fitting element that compliments Wario’s character and humor. None of that is a problem on its own. The whole boss process becomes an issue, however, by the simple fact that you can’t just purchase the boss items with the treasure Wario collects along his adventure. Instead, you purchase the items with special tokens. You get these tokens by spending your points/treasure to play one of three mini-games located before the boss fight of each world. You are then awarded tokens based on your performance in these mini-games. The problem is that acquiring these tokens can take a fair amount of time, and with how slowly Wario chips away at the bosses’ health on his own, you’re going to want to spend the extra tokens for the more powerful items to beat the bosses as quickly as possible. So if you want to claim every boss treasure and complete the game at one-hundred percent, you have to repeat the process all over again if you can’t beat the boss fast enough the first time around. Some might say that’s a fair price to pay since the game essentially gives you the ability to cheat, but buying these items is optional anyway. So why not just use your points to buy the tokens and skip the mini-games? It’s just a tedious process that seems counterproductive. Aside from those elements though, Wario Land 4 remains a winner in most respects. Wario himself controls better than ever, with his every action feeling far smoother than in past games. The level design finds some fun and creative ways to mix up the formula. The game still looks great with its colorful graphics and vibrant animations, and the soundtrack stands tall above its predecessors, meaning that collecting those CDs is worth the effort. It may not be among the best games on the Game Boy Advance, but Wario Land 4 is another testament that the GBA is when handheld gaming truly made it. Yoshi hasn’t had the best track record of Nintendo’s many iconic characters. Though his roles as Mario’s sidekick in Super Mario World and Super Mario Galaxy 2 were lauded, when it came to the cute dinosaur’s starring roles, things were a bit less consistent. He got off to a phenomenal start in Yoshi’s Island: Super Mario World 2, which was considered part of the official (albeit loose) Mario series canon. Yoshi’s Island took the foundations Mario created, and transformed them to make one of the best platformers of all time. After that, however, Yoshi’s starring titles lost their luster. Yoshi’s Story – the N64 follow-up to Yoshi’s Island (that isn’t part of the main Mario series) – was one of the most shallow first-party games Nintendo has ever made. From there came uneventful spinoff titles like Yoshi’s Topsy Turvy and Yoshi’s Touch & Go (which weren’t bad, but didn’t have a whole lot of value). Finally, Nintendo decided to try to replicate Yoshi’s original success, creating quasi-sequels to Yoshi’s Island in the forms of Yoshi’s Island DS on Nintendo DS, and Yoshi’s New Island on 3DS. The results were mixed, with DS only replicating the original Yoshi’s Island on face value, and New Island failing to live up to the original in any way, shape or form. Perhaps Yoshi was just better suited as Mario’s stead? But then, Nintendo seemed to find the right developer to get Yoshi back on track. Good-Feel, the studio that previously developed Wario Land: Shake It! and Kirby’s Epic Yarn, were tasked with creating a spiritual successor to the latter. 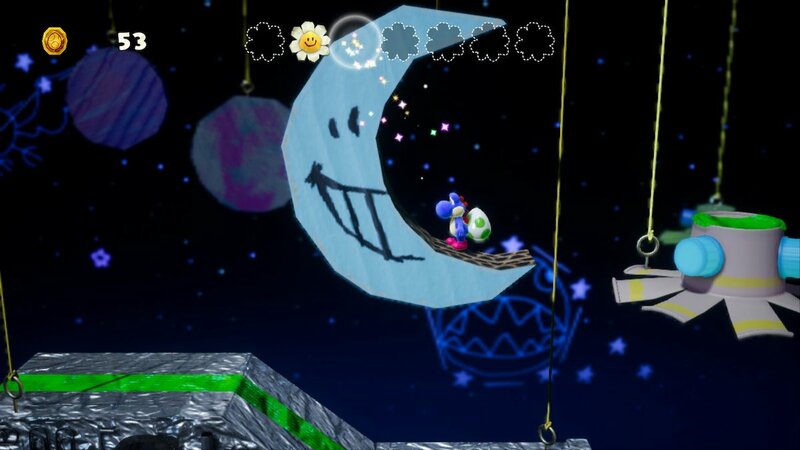 But instead of returning to Kirby, Good-Feel developed Yoshi’s Woolly World for the Wii U, a title that combined the yarn aesthetics of the studio’s Kirby adventure with familiar gameplay elements of Yoshi’s Island. Though the end result could never live up to the masterful Yoshi’s Island, Woolly World delivered the first Yoshi game that could be seen as a worthy follow-up to the SNES classic. And now, Good-Feel has made a return visit to Yoshi’s island with a follow-up to their previous outing in the form of Yoshi’s Crafted World. While the game itself isn’t radically different from its predecessor, Yoshi’s Crafted World still boasts the same undeniable charm, and is another example that Good-Feel are perhaps the best visual artists in the gaming medium. As the title implies, the wool and yarn aesthetics of Woolly World have been replaced with an arts & crafts motif. 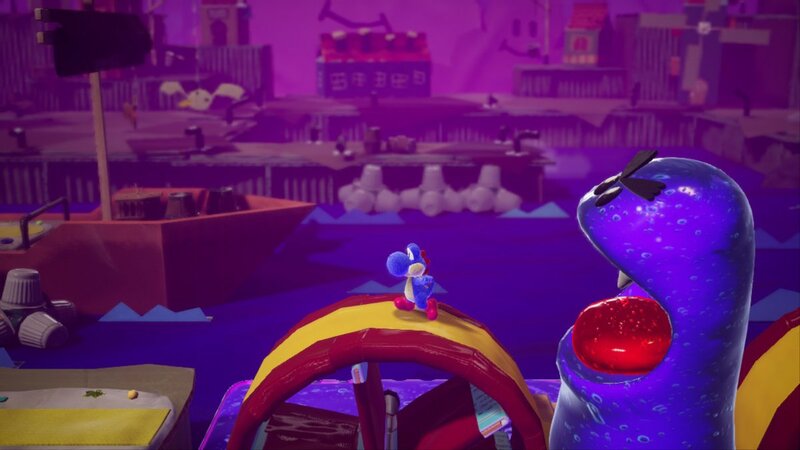 While that may not seem as innately adorable (cardboard is objectively not as cute as yarn), Crafted World’s consistently creative visual charm will quickly win you over all the same. In a time when I’ve stared at so many photorealistic humans in video games that I’m now more likely to shrug my shoulders at realistic graphics than be impressed with them, it takes a genuinely striking art direction to stand out. And Good-Feel is one of the few studios to continuously pull the feat off. Even more impressively, they often find ways to weave their visuals into the gameplay. Though Yoshi boasts the same bag of tricks he has since Yoshi’s Island – like flutter jumps, ground pounds and the ability to eat enemies with his prehensile tongue which, of course, turns them into eggs which can then be thrown at various objects – the new arts & crafts geddup has changed things up a bit. Based on whatever material the surrounding environment is made from, Yoshi might throw an egg at a wall which then unfolds into a staircase, or he might sink into a pillowy floor. Admittedly, I don’t think there’s quite as many “gameplay merges with visuals” moments as Epic Yarn or Woolly World, but the creativity always shines through. Every last enemy, object and environment looks like it was made in arts & crafts. 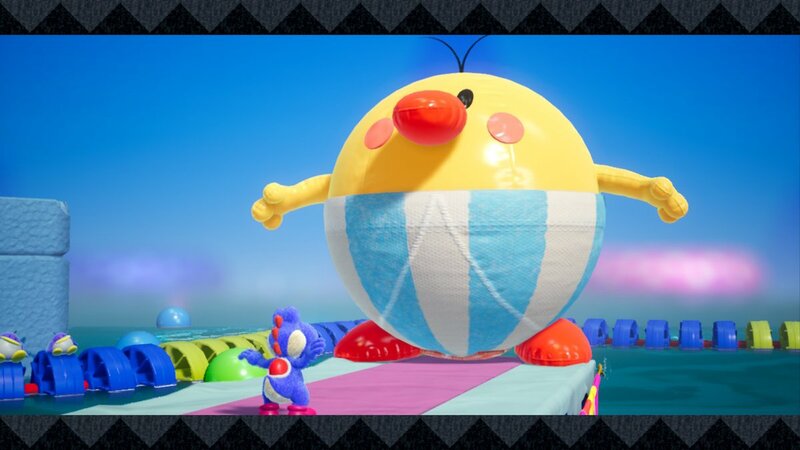 Ninja Shy Guys throw aluminum foil shurikens, Yoshi can toss magnets onto giant soda cans to create platforms, even the infamous first boss of Yoshi’s Island, Burt the Bashful, returns with a makeover in the form of Burt the Beach Ball. Every last moment of Yoshi’s Crafted World catches the eye. Not only does it look great, but the clever ways in which the developers reimagined so many familiar faces and assets, and recreated them from different materials, never ceases to be charming. Yoshi’s Crafted World is a delight to look at from beginning to end. There are a few new elements added to the classic Yoshi gameplay that don’t rely on the new visuals. Since Yoshi’s Island, Yoshi has collected Happy Flowers and Red Coins, and needed to complete a level at full health to clear a stage with one-hundred percent completion. And while that’s still true here, a few new layers have been added to Yoshi’s completionist traditions. Though Yoshi’s hit points retain a twenty heart maximum, and each stage still hides twenty Red Coins, the number of Happy Flowers now differ between stages. Anywhere between three and nine Happy Flowers are hidden in a stage (either on their own, or requiring a certain action on Yoshi’s part to reveal them). Additionally, three more Happy Flowers are earned by claiming all of a stage’s Red Coins, getting to the exit with full health, and grabbing 100 regular coins (definitely the easiest of the lot). 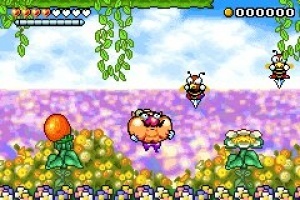 The extra emphasis on the Flowers is due to their newfound importance, as they are now needed to unlock different areas in the game, similar to Mario 64’s Power Stars or Banjo-Kazooie’s Jiggies. Even when the levels are done, they still aren’t done. After the first few stages are completed, new options become available to give the levels reasons for revisits. Characters on the overworked will ask Yoshi to collect a certain amount of a specific item located in a particular stage (you ‘collect’ these objects by throwing eggs at them, naturally). And even more noteworthy, completed stages unlock the option to play them in reverse, with the goal now being to find a certain number of Poochy pups and guide them to the stage’s exit (which is its former entrance). New to the series is the ability to walk into the foreground and background. Sadly, you don’t get too many scenarios that utilize this mechanic to its fullest, but there are still a few instances where puzzles and objects have to be completed or obtained by paying close attention to all of your surroundings. Unfortunately, aiming eggs at the background of foreground can sometimes be a bit finicky. Another gameplay addition comes in the form of score attack stages, which take a break from the collecting-focused nature of the rest of the game and emphasize a certain gimmick that requires a high score. Example include destroying objects with a giant Yoshi robot, jumping through hoops, popping balloons, and my personal favorite, a rail-shooter stage where you throw eggs at targets while aboard a train that reminds me of the Toy Story Mania ride at Disneyland. 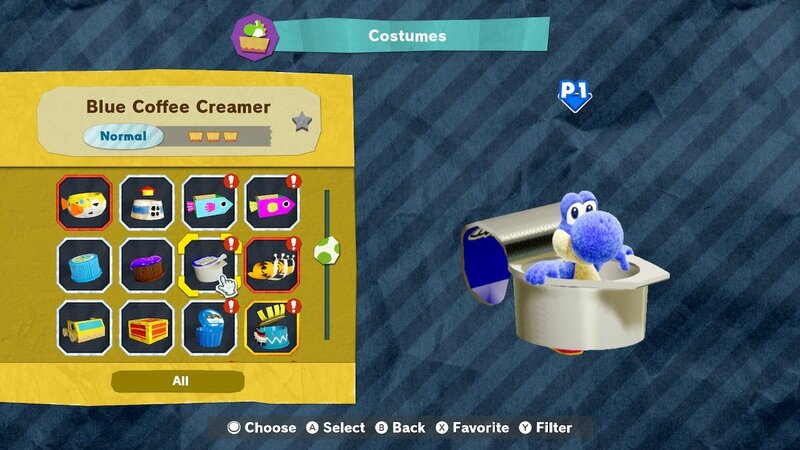 Unfortunately, one change from Wooly World that isn’t for the better comes in the form of ‘costumes,’ which replace the wool item from the previous game. In Wooly World, finding wool would unlock a different Yoshi, which could be simple color alterations, or possess wacky patterns modeled after other Nintendo characters (with Amiibo being used to unlock a number of the specific character Yoshis). It was pointless, but fun. 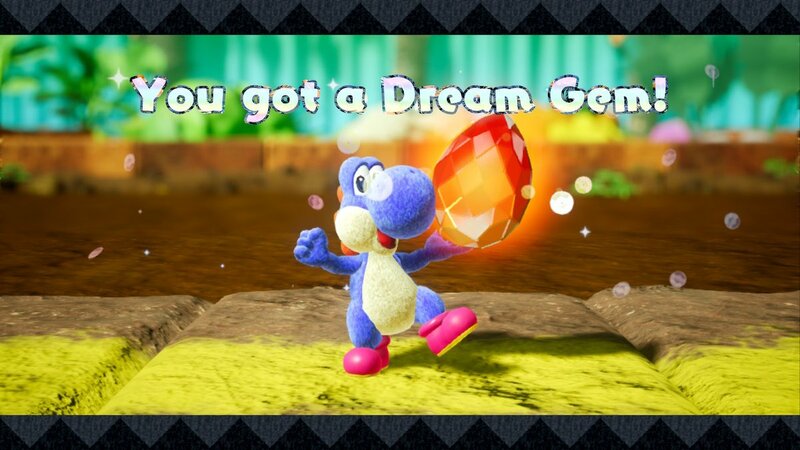 Here in Crafted World, however, the only Yoshi’s available are there from the start of the game (with player’s choosing which Yoshi they want to play as for the rest of the adventure). So instead of different Yoshis, you simply unlock new costumes for Yoshi, which will take the first hit from an enemy like a shield, meaning maintaining your hearts is marginally easier. That sounds fine and all, and admittedly the costumes come in a fun variety of everyday items (such as coffee creamer cups or tuna cans). Despite being more practical, however, the costumes just aren’t as fun or enticing to collect. 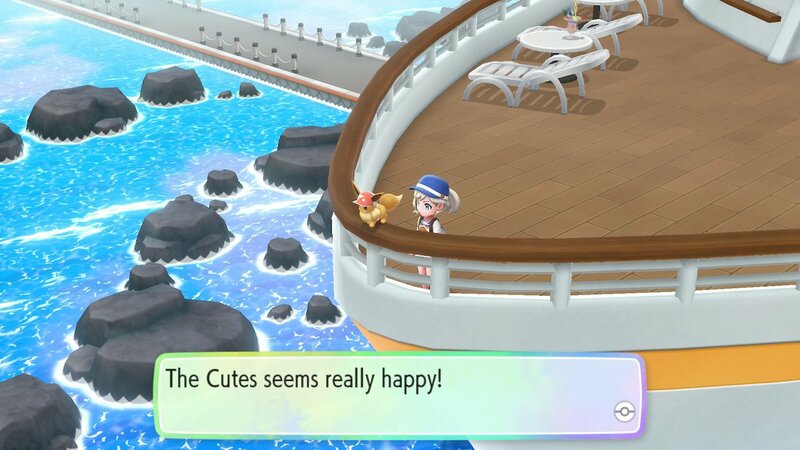 Even the number of Amiibo that can be used for the game has been greatly reduced, meaning that not only do the costumes have less variety than the wool from the previous game, but it also lacks the personality and references as well. 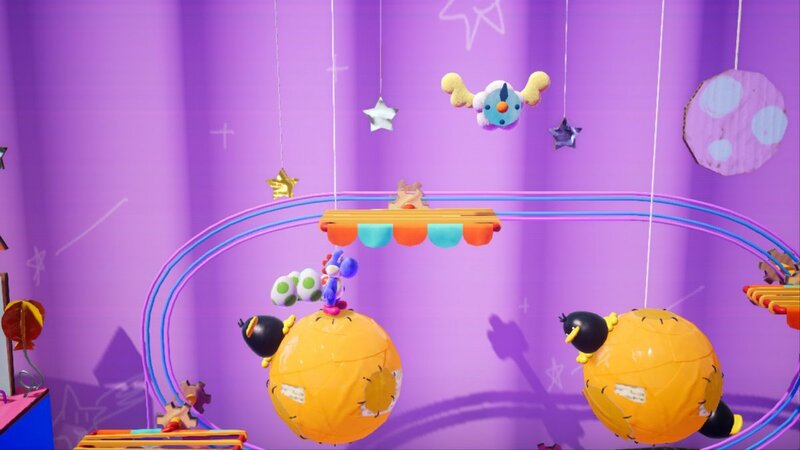 Another fun little twist to Crafted World is that its overworld takes several branching paths, with players often able to select which areas to explore whenever they see fit. The story involves Baby Bowser and Kamek trying to steal five magic gems from the Yoshis, and inadvertently spreading them across the island during the kerfuffle. As you might have guessed, a boss holds each gem, but the game doesn’t necessarily have only five worlds. 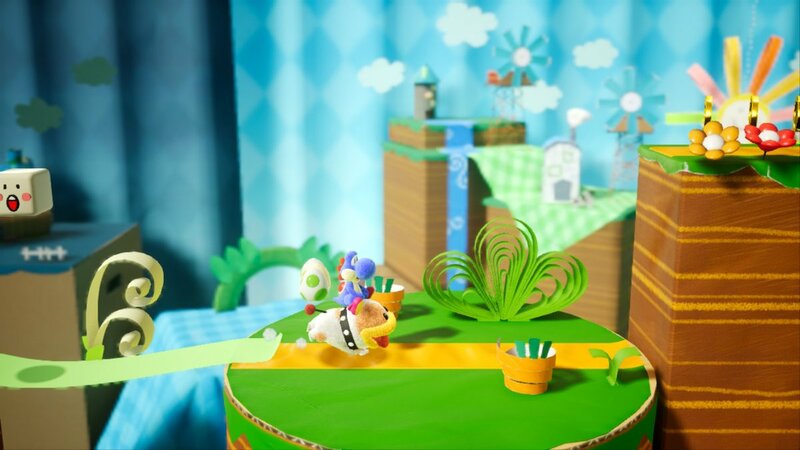 Instead, Yoshi’s Crafted World features a myriad of mini-worlds (two or three stages apiece), that connect to different paths, with the big bosses waiting at the end of each path. There still is a set destination for the fifth gem, so it’s not completely open, but by shrinking the sizes of the worlds, we get to have a variety of different themes found in any given path, as opposed to the usual “fire world, ice world, desert” nature of platformers. If there’s one element of the game that’s a bit of a mixed bag, it’s the music. That’s not to say the music is bad – it’s cutesy, playful sound fits the game quite nicely – but it lacks variety. Even a number of later stages in the game, which have drastically different themes from those at the start of the game, still use many of the same tunes. Again, the music that is present is charming, but it kind of detracts from the experience when the music stays in the same place the whole way through. Yoshi’s Crafted World is admittedly not quite the same breath of fresh air that Kirby’s Epic Yarn and Yoshi’s Woolly World were upon their releases, but it carries on their legacy proudly, and is every bit as smile-inducing as its predecessors. Good-Feel has an uncanny ability at visual craftsmanship in gaming, and Yoshi’s Crafted World is another testament to those abilities. The gameplay makes for a light and relaxing good time, while the visuals will keep you glued to your screen in awe from the moment your selected Yoshi departs on their adventure to the time the credits roll. With a name like Super Smash Bros. Ultimate, the Switch’s edition to Nintendo’s massively-successful crossover fighter certainly gave itself a lot to live up to. Somewhat miraculously, Ultimate manages to pull that very feat off, delivering what is undoubtedly the best entry in the long-running series to date. Bursting at the seams with content and fine-tuning the series’ gameplay, Super Smash Bros. Ultimate lives up to its lofty expectations, even if a lackluster adventure mode and a thin (and inconsistent) lineup of new fighters means it doesn’t quite surpass them. Super Smash Bros. really doesn’t need an introduction at this point. 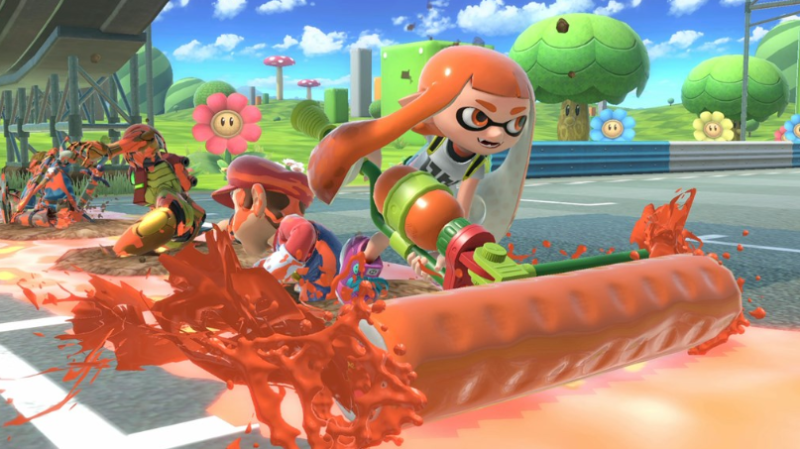 The franchise has become one of Nintendo’s biggest sellers thanks to its engrossing gameplay, which combines elements of traditional fighting games with Mario Kart-esque party elements, all while incorporating sumo style rules that make it unique unto itself. 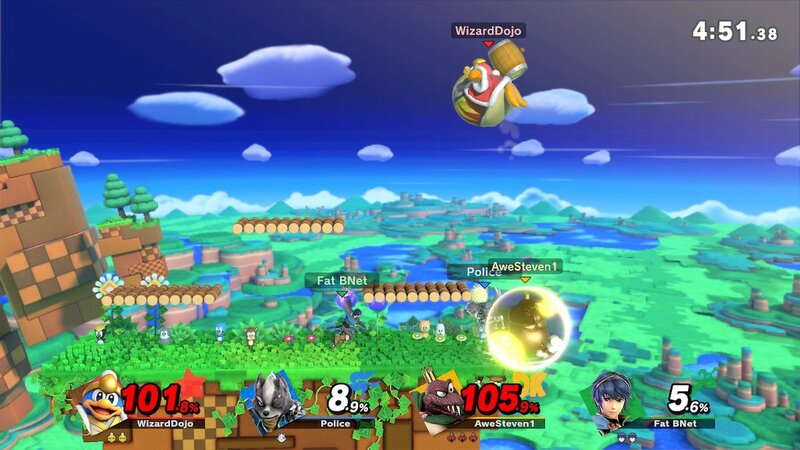 By ‘sumo style’ rules, I of course refer to Super Smash Bros’ key mechanic of sending opponents off the screen – similar to sumos throwing each other out of the ring – in order to defeat them, as opposed to depleting a health bar as in most fighters. Though with that said, the ‘Stamina mode’ first introduced to the series in Melee, in which players do deplete each other’s health, returns as one of Ultimate’s primary game modes, no longer relegated to a kind of bonus mode as in the past. That seemingly small change is indicative of the very nature of Super Smash Bros. Ultimate. This is the Super Smash Bros. that attempts to legitimize every play style for the series, and to appease every type of Smash fan. And for the most part, Super Smash Bros. Ultimate wildly succeeds in doing just that. If you’re a serious Smash player, you can remove items and play on flat stages a la Final Destination or small stages with minimal platforms in the vein of the classic Battlefield stage, with no match-altering Final Smashes included. Players who want chaotic fun can have all items active, Final Smashes turned on, and enable every last, crazy stage hazard and gimmick. Or, if you’re somewhere in between, you can play on the standard stages with the gimmicks turned off, only allow Final Smashes by means of building up a power meter during battle, and only enable the occasional Pokeball and Assist Trophy in regards to items. The ways in which you can customize matches are boundless. This really is the Super Smash Bros. that can appeal to any Nintendo fan. At least in terms of the core gameplay, that is. If there is one glaring downside with Super Smash Bros. Ultimate, it’s with the game’s adventure mode. Dubbed ‘World of Light,’ Ultimate’s adventure mode is mind-numbingly tedious, and simply not worth the time and effort it takes to see it to the end. In World of Light, players initially take control of Kirby, the only survivor of a Thanos-style mass extinction, as they progress through one battle after another, unlocking the other characters and collecting ‘Spirits,’ which are won after defeating opponents in possession of said Spirits. These Spirits are a new feature in Ultimate, replacing the series’ long-standing trophy collectibles. It’s ultimately an unfair trade. While the trophies of Smash’s past featured unique character models and gave some insights into Nintendo (and gaming) history, the Spirits are merely presented as stock promotional art from past games, and provide statistical bonuses to your characters when equipped. Spirits can grant boosts to attributes like strength or speed, or provide you with a special ability (such as starting fights with a particular item, or being resistant to certain types of attacks). This may sound interesting in concept, but it kind of goes against the very nature of Super Smash Bros. This is a fighting series all about learning the different play styles of the various characters. 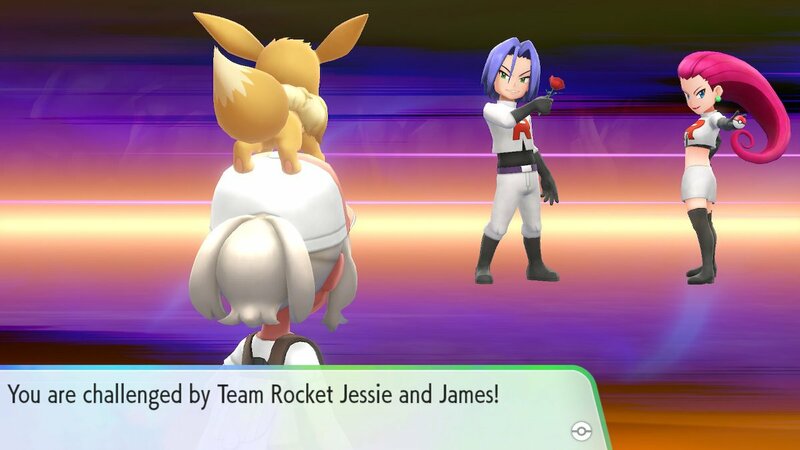 So if you have Spirits activated in the standard game, it makes things more about who has the best Spirits equipped, as opposed to who played the best in any given round. Suffice to say the Spirits find all of their appeal in the single player World of Light mode. Though even then, the game often mishandles their usage. Pulling a page out of Paper Marios Sticker Star and Color Splash, there are a number of battles in World of Light in which it is necessary to have specific Spirits equipped in order to win. If the Spirits gave you advantages in these situations, that’d be fine. But on more than one occasion you will come across a battle in which victory is impossible unless you have a specific Spirit equipped. Another issue with World of Light is that it’s just too long for its own good. It features an unnecessary amount of branching paths, alternate routes, and overall battles. And when it finally looks like you’re done with it, World of Light pulls a Ghosts ‘N’ Goblins on the player and extends the adventure by rather lazy means. To detract from the experience even further, World of Light is exclusively played by a single player. Super Smash Bros. Brawl’s adventure mode, Subspace Emissary, was far from a winner, but at least I could play that with a friend. Not to mention Subspace Emissary served as a fast means of unlocking every character. 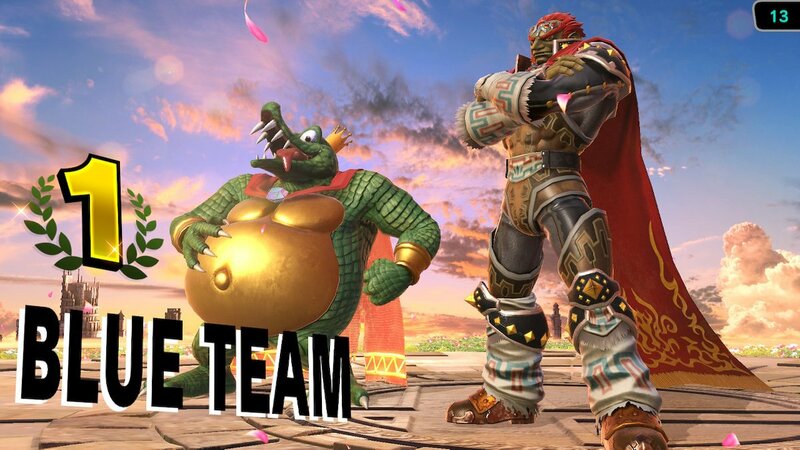 But World of Light just drags on and on, with the lonesome tedium making you seek one of the many other means of unlocking the characters (thankfully, there are no shortage of options when it comes to expanding the roster). The fact that World of Light actually makes me long for Subspace Emissary could be a sign that maybe Super Smash Bros. is better off without an adventure mode at all. Of course, the adventure mode is just a small part of the overall package, and every other mode included in the game delivers in spades: Classic Mode is more fun than ever, and includes unique challenges for every last fighter. Tournaments are easier to set up than ever before. New Squad Strikes have players selecting teams of characters and eliminating them one by one. Smashdown sees players cycle through the entire roster one at a time, with previously selected characters getting locked out after use. The variety never ceases to impress. On the concept of variety, the biggest selling point of Super Smash Bros. Ultimate is that every playable character from the franchise’s history is present. If they were playable in a past Super Smash Bros. title, they’re playable here. So those of you who missed Solid Snake for being omitted from Super Smash Bros. on Wii U/3DS, he’s back. Young Link and Toon Link can now face off against one another. Pichu makes his return after seventeen years (they can’t all be winners). The DLC characters from Wii U/3DS return. Even the good ol’ Ice Climbers have found their way back to the series, after technical limitations on the 3DS prevented their appearance in the last installments. 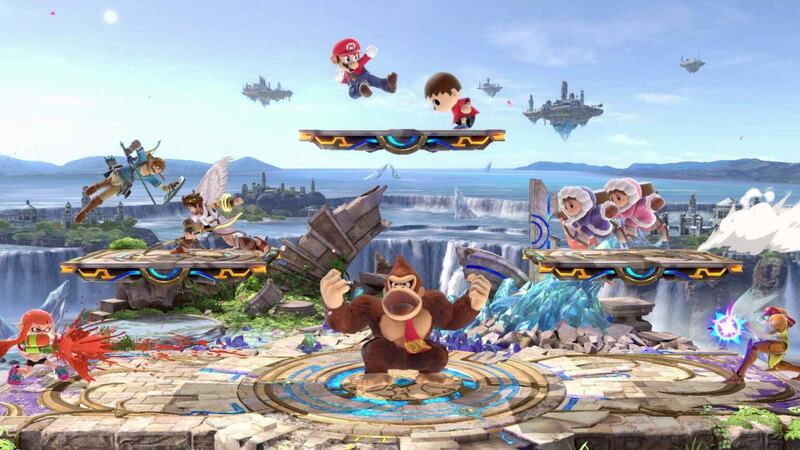 And yes, we even get a handful of new characters joining the fray, meaning that Super Smash Bros. Ultimate has all of the character variety of each and every one of its predecessors put together and then some. Speaking of the new characters, that’s where things can be a bit inconsistent when it comes to selections. 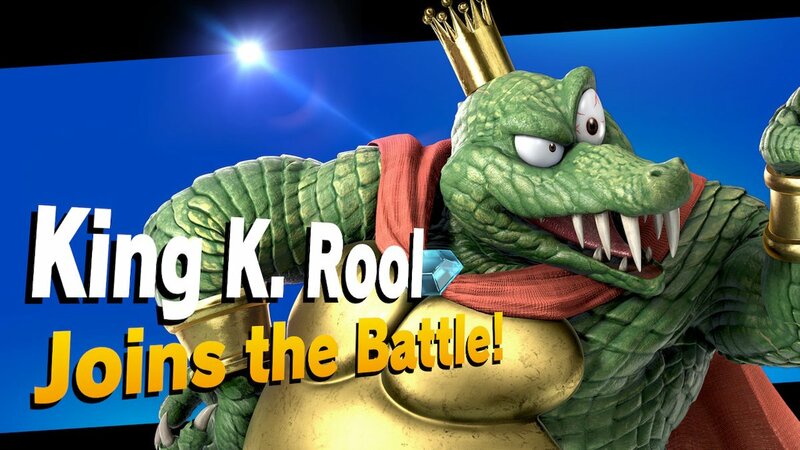 Ridley and King K. Rool feel like the most meaningful newcomers, given that they’ve been in high demand from fans since Melee. Splatoon’s Inklings also make sense as they represent one of Nintendo’s contemporary success stories. And Simon Belmont feels long overdue in the third-party character department (seriously, besides Mega Man, what other third-party character even compares to Castlevania’s early history with Nintendo?). The remaining newcomers, however, are a bit of a mixed bag. Isabelle from Animal Crossing – though a welcome addition in her own right – doesn’t exactly come across as a character fans were dying to see join the series. Incineroar feels like he could have been any randomly selected Pokemon. And the downloadable Piranha Plant just feels like a big middle finger to the fans who have been requesting their favorite characters for years. That’s not to say that these characters detract from the gameplay by any means. But for a series so grounded in fanservice, some of these character selections feel misguided. Perhaps with more newcomers the more disappointing entries wouldn’t stick out so much. But with most of the emphasis going towards bringing back every past character, you kind of wish that the smaller quantity of newcomers would have translated to a consistent quality. And that’s unfortunately not always the case. 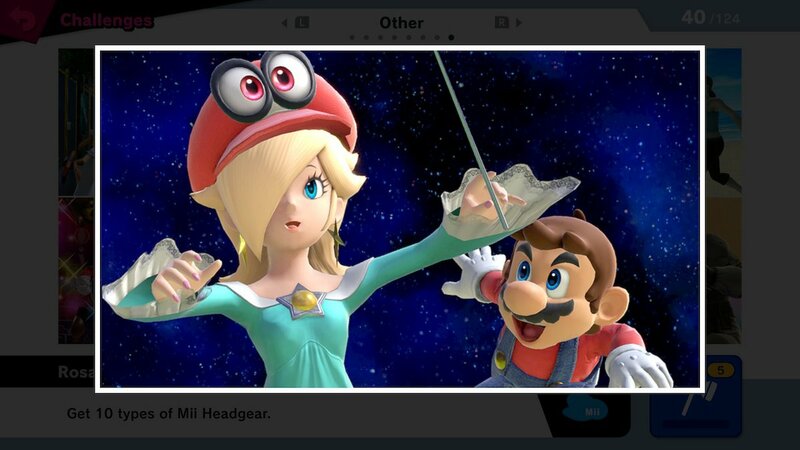 Some fans may also lament that clone characters – now officially referred to as “echo fighters” – are still present, but at least now they’re categorized appropriately, and not treated as though they’re full-on additions to the franchise. 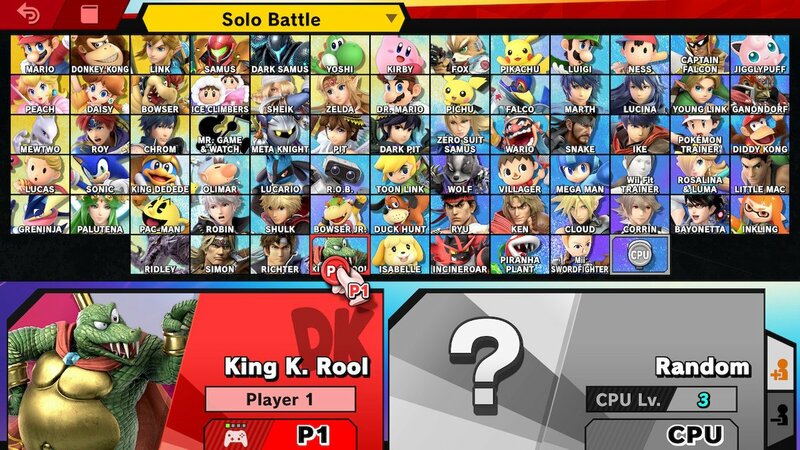 Still, it’s hard to complain too much when Ultimate boasts seventy unique characters (with more on the way via DLC. Here’s hoping some favorites make the cut). There’s simply never a shortage of characters to choose from, and all of them bring their own sense of fun to the gameplay (with the possible exceptions of the excessive amount of sword fighters from Fire Emblem, who often feel interchangeable even when they aren’t clones). Each character’s Final Smash has also been altered this time around, as they take on a more cinematic approach. Unfortunately, while the Final Smashes look more impressive than ever, their infrequent interactivity makes them less fun than in previous installments. This was probably done for the sake of balance, which is admirable. Though chances are, if you have Final Smashes active, you aren’t exactly aiming for a balanced, competitive bout. The stages also adhere to Ultimate’s “everything but the kitchen sink” mentality. Although there are a few omissions, the majority of stage’s from past Super Smash Bros. titles make a return (unfortunately, Brawl’s Electroplankton-inspired stage is bafflingly among them). There are only four brand-new stages in the base game: Odyssey and Breath of the Wild themed levels for Mario and Zelda, and courses based on newly-represented series Splatoon and Castlevania. That may not sound like a whole lot of newness, but more stages are planned to be added along with the DLC characters. Besides, with the returning courses, Super Smash Bros. Ultimate includes over one-hundred different locations to do battle. And as stated, every last stage comes in three different versions (standard, Battlefield, and Final Destination), so you’re not very likely to get bored from repetition. For those who don’t always have someone at the ready for some couch multiplayer, Super Smash Bros. Ultimate also expands the series’ online capabilities. Creating online matches has been streamlined by means of creating arenas, where players can set the rules as they see fit. You can even search for specific rulesets if you want to join an arena that’s more to your play style (though admittedly, the search engine needs some work). It’s now much, much easier to set up or join an online match and play with or against Smash players from around the world. Sadly, the online functionality still isn’t perfect. Though lag is considerably less frequent than in Brawl or Wii U/3DS, it’s still present more often than you’d like. It isn’t limited to worldwide matches, either. I’ve encountered some slowdowns in games against my friends. Again, the lag isn’t so common as to detract from the overall experience, but considering that in five years’ time I’ve never encountered any lag issues in Mario Kart 8 (whether on Wii U or Switch), you have to wonder how and why Nintendo can’t replicate that level of online functionality with their other multiplayer franchises. Other quibbles with the online mode include some minor (but no less irritating) design quirks, such as leaving your place in cue for the next fight in an arena just to change your character’s color (let alone change your character). Or why entering the spectator stands also removes you from cue (why the cue and spectator stands aren’t one and the same is anyone’s guess). Again, these are all just minor annoyances, but you have to wonder why they’re there at all. Of course, it must be emphasized that, with the exception of the World of Light adventure mode, all of the complaints to be had with Super Smash Bros. Ultimate are minor grievances in the big picture. The series’ signature gameplay has never felt so polished, the content has never felt this endless, and with every last character in franchise history present, Super Smash Bros. has never felt this complete. Super Smash Bros. Ultimate is also a technical showcase of the Switch’s capabilities. Though it retains a similar overall look to Super Smash Bros. for Wii U/3DS and Brawl, the graphics are much sharper and more refined. The level of background detail in the stages themselves – often so small you’d never see them in the heat of battle – is a testament to the abilities of the artists behind the game. The character animations are similarly impressive, especially those with unique characteristics (such as DK’s eyes bulging out of his head when hit, Donkey Kong Country-style; or Wario’s manic, sporadic movements). Complimenting these visuals is a soundtrack that represents an unrivaled array of video game music, featured in both their original and new remixed forms in addition to many remixes from past Super Smash Bros. installments. Unfortunately, I don’t think there’s quite as many new pieces of music added into the fray as Brawl and Wii U/3DS brought to the table, but it’s hard to complain too much when the music is this terrific. Not to mention the soundtrack to Super Smash Bros. Ultimate is inarguably the biggest library of classic video game themes ever compacted into a single game. On the whole, Super Smash Bros. Ultimate is an absolute winner. Its overall sense of newness may not be as prominent as the past few entries, but its inclusion of the best elements of every past installment, along with each and every last one of their characters, makes this the definitive entry in the long-running Super Smash Bros. series to date. With the exception of its egregious adventure mode, everything about Super Smash Bros. Ultimate is exploding with fun. With so many characters, stages, modes, and options, the content included in the package is seemingly bottomless, leading to an unparalleled replay value. Super Smash Bros. Ultimate is not only the best game in the series, it’s one of the greatest multiplayer games ever made. Despite being the “fastest thing alive,” Sonic has always been playing a game of catch up with Super Mario since day one. Despite Sonic’s early titles and a handful of the blue blur’s other adventures over the years achieving their own sense of timelessness, Sonic never did catch up with Mario. If there is one genre that seemed like Sonic would, by default, have the upper hand on Mario, it would be the racing genre. Sonic is a character built around his speed. Taking the series and adapting it into a racing game seems like it should have had minimal bumps in the translation. Which is why it’s both dumbfounding and hilarious that Sonic R – the first Sonic racing game on a home console – is an utter disaster, and one of the worst games Sonic has ever appeared in (and boy, is that saying something). Depressingly, Sonic R was the only exclusive Sonic game released on the Sega Saturn, with the two other Saturn Sonics, Sonic 3D Blast and Sonic Jam, being a port and a compilation of the Genesis Sonic titles, respectively. Although the Saturn was otherwise a stellar and underrated console (possibly my personal favorite from Sega), the fact that Sega’s biggest franchise only managed to pop out this turd of a game on the Saturn may have had something to do with the console’s short lifespan in the midst of the Sony Playstation and Nintendo 64. 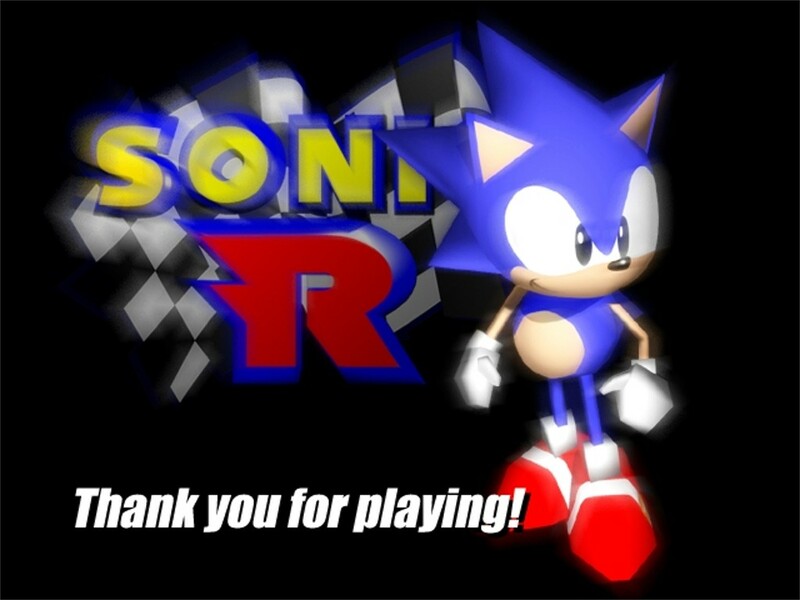 As stated, Sonic R was a racing game starring characters from the Sonic the Hedgehog series. Unlike other Sonic racing games that would follow, most of the characters run on foot. That may sound like it makes sense, since Sonic can run at the speed of light, and Knuckles and Tails are inexplicably just as fast (and, bizarrely, Dr. Robotnik has continuously outrun the blue hedgehog). But it ends up having disastrous results, as developer Traveller’s Tales apparently had no idea how to implement the traction and physics of running characters. As soon as a race begins, it’s an absolute mess of game design. Your character reaches top speed instantly, while turning your character feels like a herculean feat of strength. As you can imagine, this makes Sonic R’s sense of control nothing short of abysmal. Amy Rose (who drives a car) and the unlockable Dr. Robotnik (who pilots his hovercraft…again, despite outrunning Sonic on numerous occasions) control marginally better, but that’s not saying much. To make matters worse, the game as a whole just feels unfinished. You’ll often run through objects, get stuck in the scenery, or get magnetized to walls. The entire game feels like one big glitch. Combine that with the hellish controls, and Sonic R is downright agonizing to play. Even the graphics are a drizzling mess. Okay, so most early 3D games aren’t exactly pretty to look at these days, but other Saturn titles – such as Nights Into Dreams or the 3D overworld of Sonic Jam – still have a lively look about them. 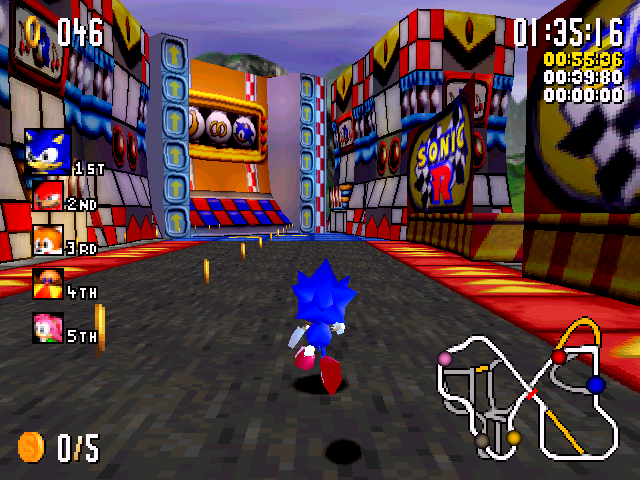 Sonic R, by contrast, often looks like one massive blur of colors. It’s all too easy to go off track during a race because you can’t tell where you are and aren’t supposed to go. It’s not just technical and graphical sins that Sonic R is guilty of, but even on a creative level, the game falls utterly flat. 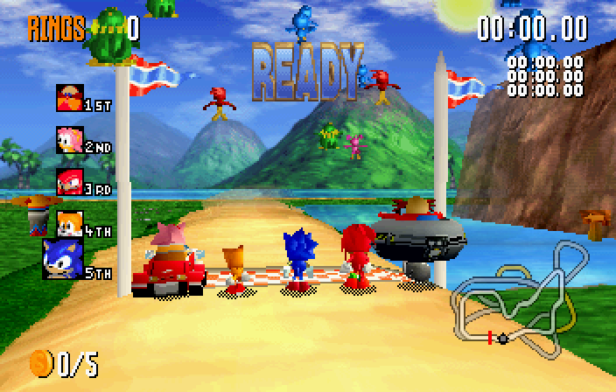 Sonic R boasts a grand total of five courses to race on, none of which are memorable. And the only modes to speak of are Grand Prix (which is a single race) and Time Trials (with Versus races just being two-player Grand Prix). Compare that to Super Mario Kart on Super Nintendo. Released five year earlier on less advanced hardware, Super Mario Kart boasted twenty racetracks, five races in one or two player Grand Prix, one-on-one Versus races, and its iconic Battle Mode which featured four maps of its own. 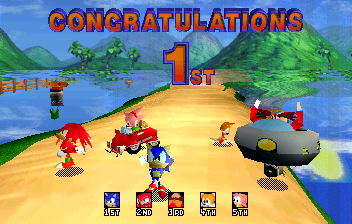 And while Sonic R may have more characters available than Super Mario Kart did – along with Sonic, Tails, Knuckles, Amy and Robotnik, you can also unlock robot versions of each character (sans Amy) as well as Super Sonic – each race here can only have five participants at a time, as opposed to Super Mario Kart’s eight. And while the characters in Mario Kart had differences in things like weight and acceleration, the characters of Sonic R often have unfair advantages over others (Robotnik can simply hover over bodies of water, which are entirely detrimental to Sonic and friends). In both concepts and execution, Sonic R feels greatly underdeveloped. If I had to give credit to any of Sonic R’s ideas, it’s that it had an interesting attempt at adding an exploration element into the mix. As in the classic Sonic games, rings are scattered about everywhere, with their purpose this time around being unlocking doors that lead to shortcuts and hidden items. Each of the four starting stages houses one or two Chaos Emeralds, and five Sonic Coins. If you nab the Chaos Emeralds and claim first place, you get to keep the emeralds (which is much easier than it sounds, as the AI is so slow you can take your time hunting down these items and still end up lapping them). Collect every Chaos Emerald to unlock Super Sonic. Meanwhile, if you can collect all five coins on a stage in a single race, and get in at least third place, you’ll race one of the robot doppelgängers. Beat the metallic lookalike in their race and you unlock them. And for the curious, the fifth stage is unlocked simply by claiming first place in the four starting stages, with Robotnik being unlock upon victory in said secret stage. But Diddy Kong Racing this is not. While these hidden goodies sound enticing in theory, the utterly chaotic, unfinished nature of the game itself makes their addition mean nothing. It’s like having sprinkles without the ice cream. And the implementation of these items is so half-assed anyway that you can unlock everything in about a half hour. Some variety in the racetracks is attempted by means of having different aesthetic settings for the courses (such as nighttime or winter, the latter of which freezing water), but they ultimately have a minimal effect on the gameplay, and only serve as an outdated showcase of the Saturn’s graphical capabilities. Apparently there wasn’t enough time to design more levels or polish the gameplay, but at least the developers found time to add rain effects to the courses. The one element of Sonic R that I will admit is enjoyable is the music. Now, it isn’t genuinely awesome music as in the Genesis Sonic games. Rather, Sonic R’s soundtrack is when the music of the series began to enter “so bad it’s good” territories. 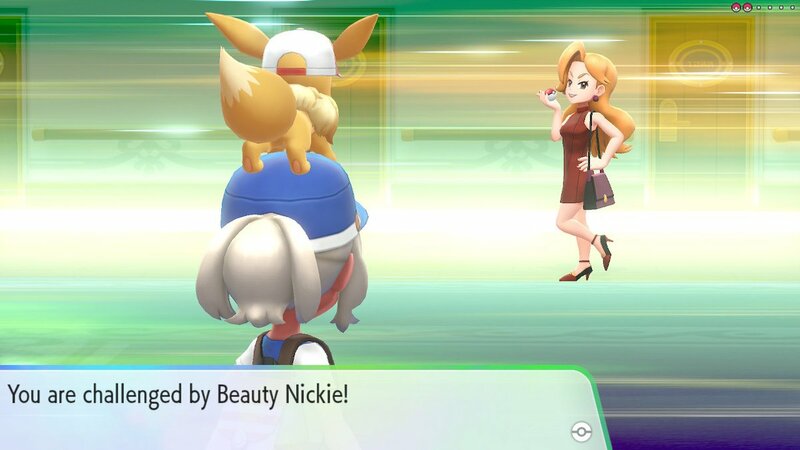 Each race track comes equipped with a cheesy theme song with surprisingly high production values (a la the early seasons of the Pokemon dub) that may give you a bit of earworm. Sonic R was a bad game in its day, and its lack of quality has only been magnified in the years since its 1997 release. To say Sonic R failed at being a Mario Kart killer is a gross understatement. At the very least, Sonic can take solace knowing that he eventually found himself in one of the better Mario Kart clones in Sonic and Sega All-Stars Racing and its sequel. But the damage done by Sonic R was so great that it took Sonic and friends a good, long while before they reached that point (and even when they did, they were still ultimately not Mario Kart). It’s hard to imagine how a Sonic racing game could go wrong, let alone this wrong. But Sonic R is indeed one of the worst racing games of all time. The Sega Game Gear may not be the most remembered handheld of its day -being in the shadow of the wild success of Nintendo’s Game Boy – but it did have its moments. One of the more fun ideas to come out of the Game Gear was giving Sonic’s two-tailed fox sidekick Tails some games of his own. 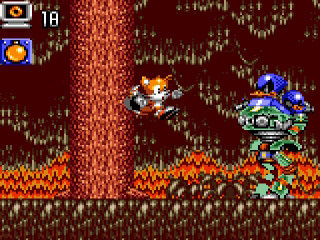 A duo of titles starring Tails were released on the Game Gear. One of those titles, Tails’ Skypatrol, was a bit of a disaster. The other, Tails’ Adventure, however, displays some fun ideas. And though the passage of time has worn Tails’ Adventure down a bit, its ambitions are still quite admirable. While Skypatrol was an auto-scrolling flight game whose ideas never seemed to mesh together, Tails’ Adventure has a much clearer focus on what it wants to be. 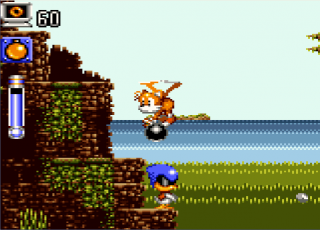 Tails’ Adventure is a side scrolling platformer, but greatly deviates from the norms of Sonic games at the time. While Sonic’s platformers were focused on action and speed, Tails’ Adventure is much slower and built around exploration. To be more precise, Tails’ Adventure follows the Metroidvania route, with Tails progressively improving his abilities, and finding new items so he can access previously unaccessible areas. At the start of the game, Tails’ only means of attack is throwing an endless supply of bombs at enemies (the game takes place before Tails met Sonic, and thus hasn’t yet learned the speed or spinning attacks from the blue blur). But you’ll quickly start finding more weapons and items hidden throughout the game’s stages. You’ll find ‘Super Gloves’ to lift heavy object, additional bomb types, a hammer for melee attacks, and a remote-controlled robot dog who can crawl in small spaces. Once you gain new items and weapons, you’ll often have to revisit a previous level to see if there are any new paths you can find with the tools you’ve gained. Tails can only hold four of these items at a time, however, and in between stages, players have to return to Tails’ lab to choose which four items they want to bring with them. Additionally, Tails can find the Chaos Emeralds, which essentially level up our two-tailed hero, RPG style. Rings still serve as health as they do in the Sonic games. But here the rings aren’t gathered and lost in bulk, but are more like hit points. At the start of the game, Tails has a maximum of ten hit points, with each Chaos Emerald claimed adding ten more to that maximum. Similarly, Tails retains his ability to fly by using his tails like a propellor, but can only do so as long as he has stamina. As you may have guessed, the Chaos Emeralds also add to Tails’ stamina bar. It’s actually a pretty fun progression system. It adds a bit of depth to the experience and while simultaneously differentiating it from Sonic’s games, and still being simple enough to feel at home in a handheld game in the mid-90s. The concept may not be as refined as it is in Metroid or as it would be in Castlevania (being released in 1995, Tails’ Adventure predates Symphony of the Night by two years), but it’s fun and creative. Sadly, as enticing as the game is in concept, much of its execution has felt the effects of aging. 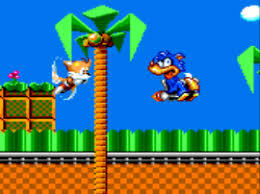 As stated, the game is slower than Sonic’s outings, but Tails perhaps moves a bit too slowly, to the point that it makes the platforming a bit annoying (yes, you can usually fly from one platform to the next, but the game will often throw a wrench in that plan, like a strong gust of wind, to leave Tails reliant on traditional platforming). One item you get during the game are shoes to make you run faster. 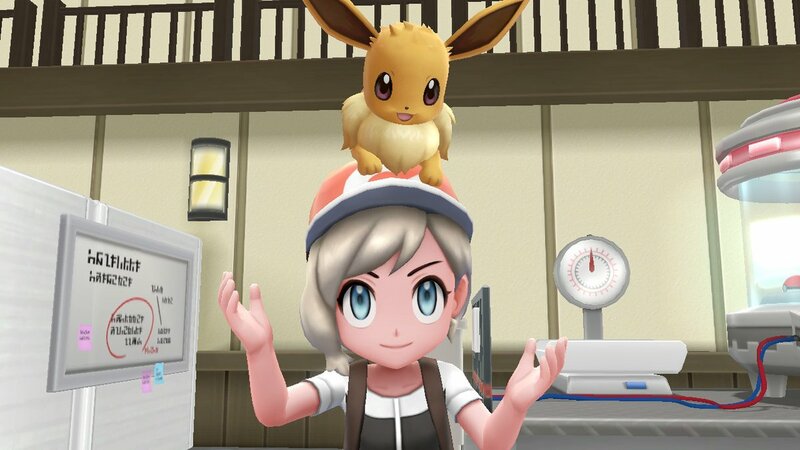 It sounds like the shoes would solve this issue, except they have to be equipped in the lab like the other items (thus taking up a spot for an item better suited for exploration), and still need to be selected to be used (meaning you can’t attack with them in use). Additionally, using the shoes has an awkward feel to it. Instead of just holding the action button to run while moving, you have to hit the action button at the same time you move for a quick burst of speed, but Tails won’t keep the momentum if he changes direction. It has a very clunky start-stop feel to it. Other issues are typical design pitfalls: spikes or lava being placed just out of view, leading to some “leap of faith” moments. The boss fights are repetitious and uneventful. And it would be nice if the game gave some description of the items once you’ve claimed them (it took me a while to realize what the Super Glove did, as it does nothing unless there’s a liftable object right in front of you, with not even an audial or visual cue to let you know you’re pressing the action button in vain). Perhaps the most unfortunate drawback of the game are the submarine stages. 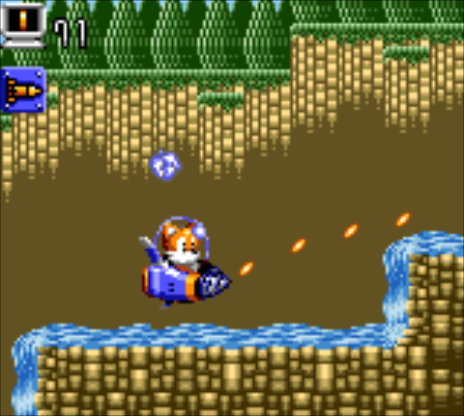 While most levels are played as Tails on foot (or in the air, as it were), others are played underwater as Tails pilots the “Sea-Fox.” Similar to the general gameplay, you get new weapons and enhancements for the submarine, but the constant stopping and switching between items feels out of place with the faster paced submarine sections. And to be blunt, the Sea-Fox levels just don’t seem as well thought out on the whole. So many of its gameplay elements haven’t aged gracefully in execution, but that doesn’t mean they were inherently bad. Considering Tails’ Adventure was a handheld title in 1995, its emphasis on exploration and character progression are admirable. And given its hardware limitations, the game looks and sounds great. The visuals are on par with the Genesis Sonic titles, and while the soundtrack may not match Sonic’s ventures, it’s fun and catchy in its own right. Sure, it may stink that Tails still isn’t allowed to fight the same level of villains as Sonic, at least the antagonists this time around have a consistent theme (robot ducks!) and aren’t a random hodgepodge like in Skypatrol. If you’re comparing it with many of the platformers and Metroidvanias that have been released in the two and a half decades since, it’s hard to say Tails’ Adventure stacks up. But its ambitions and ideas make it easy to respect and appreciate. Tails’ Adventure may not boast the timeless appeal of the Genesis Sonic games, but it’s a game that still deserves some applause in its own right. It’s actually a shame this was the end of the road for Tails, and he’d soon be relegated back to being Sonic’s player two forever more. If only sequels were allowed to build on Tails’ Adventure’s foundation, Tails may be flying high right now. There are plenty of bad games out there, but it takes a special kind of bad game to make me think “what the hell am I even doing?” while playing it. Tails’ Skypatrol is one such game. 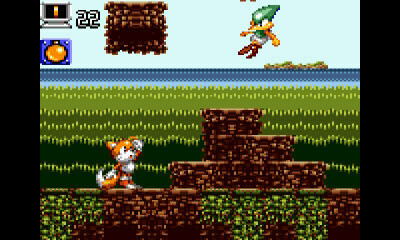 One of only two Sonic spinoff’s to star the blue blur’s sidekick, Tails (both of which were released on the Game Gear handheld), Skypatrol takes the two-tailed fox in a unique direction for the series. One that really didn’t pay off in any way, shape, or form. On paper, Tails’ Skypatrol is a simple auto-scrolling flying game, in which Tails is constantly on the move, and players having to avoid obstacles in order to get to the end of the stage. It sounds simple enough, but actually playing the game proves to be a whole other beast entirely. Seeing as Tails is now constantly in the air, he can no longer use his usual rolling attacks from the Sonic the Hedgehog games. Instead, Tails comes equipped with a ring which he can throw at enemies like a boomerang. Okay, so things still don’t sound too bad, but here’s where things get completely batty. The stages are filled with items and obstacles which can help or hinder Tails, but he can only grab these items and obstacles while the ring is in his hand. If the ring is currently flung at an enemy, Tails can’t pick anything up or interact with objects around him. There are more than a few issues with this approach, not least of which being that the game seems inconsistent in acknowledging when the ring is and isn’t in Tails’ hands. It seems like after the ring returns to Tails, there’s oftentimes an awkward window of time where Tails still can’t interact with things, but sometimes there isn’t. The game’s core mechanics are finicky and indecisive, which naturally makes for an aggravating experience. This is made all the worse by the fact that if Tails makes contact with any wall or floor, he dies. It’s very reminiscent of Silver Surfer on NES in this regard, and every bit as annoying. The one thing that’s less frustrating here than in Silver Surfer is that enemy fire doesn’t immediately kill Tails (robot lasers aren’t as deadly as lightly bumping into a wall, apparently). Instead, when struck by an enemy, Tails will tumble to the floor. If he makes contact with the floor, he dies, but you can get your altitude back simply by pressing any button. Have you ever heard of a video game where you can prevent death simply by pressing a button? Another price for getting hit by an enemy is that it takes away from Tails’ flight meter. If the flight meter runs out, Tails will crash to the floor and no amount of pressing a button will save him. What’s even worse, however, is that throwing the ring at enemies also uses some of the flight meter. And yes, the meter even depletes on its own over time. You can refill the flight meter by grabbing candy. But guess what? The candy is found on the floor! So you’ll often die trying to get the candy because you bump into the floor while getting it. Do you think maybe, in a game in which the character is constantly flying and dies if they touch the ground, the healing items should have been floating in the air?! I can at least respect what the developers were attempting with some of the game’s obstacles, but suffice to say the execution leaves a lot to be desired. Having Tails grab a heavy weight to fall fast before hitting a wall, or grabbing a balloon to slow his ascent, and things of that nature seem like they’d add to the auto-scrolling gameplay. But the atrocious level design completely takes away any positives these elements may have otherwise provided. The level design is simply the final nail in the coffin of Tails’ Skypatrol. The game has a sadistic trial-and-error approach, and requires the player to lose repeatedly and simply memorize what’s ahead in order to make any progress. There are downright cheap tactics deployed at every turn, like flight refilling candy placed at a dead end, which you can’t tell is a dead end until it’s too late. There are objects to latch onto that sometimes help, and sometimes hinder Tails’ progress, so attempting them is a total gamble (even more so when you remember that Tails doesn’t always grab objects as he’s supposed to). And it’s often difficult to tell when a background or foreground object is there for decoration, or if Tails can crash into it and die. It’s all just one leap of faith after another until you have the brutality memorized. Admittedly, the visuals were decent at the time, though the music is entirely forgettable. To add a cherry on top of it all, Tails isn’t even allowed to fight Dr. Robotnik’s forces. Instead, the villain is some generic witch and a trio of google-eyed animals. 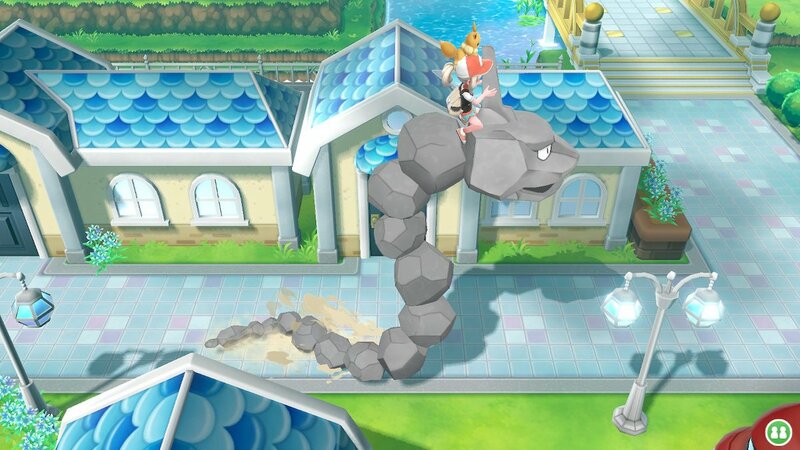 It’s like the developers went out of their way to make Tails look bad. Poor Tails. Always in Sonic’s shadow, and when he finally gets the chance to shine, this is what he gets? Then again, perhaps Tails’ problems are his own doing. I mean, if simply bumping into a wall while flying can kill him, maybe Tails should just stop flying. And if that ring he’s holding can latch onto things to hinder him, maybe he should just drop the damn ring! Is he stupid or something?